ABOUT THE GEM PROJECT, INC. Since 2006, The Gem Project has serviced the greater Newark, New Jersey area and has provided high quality programming that has enforced leadership and community service amongst school-age youth, adolescent youth, and young adults. 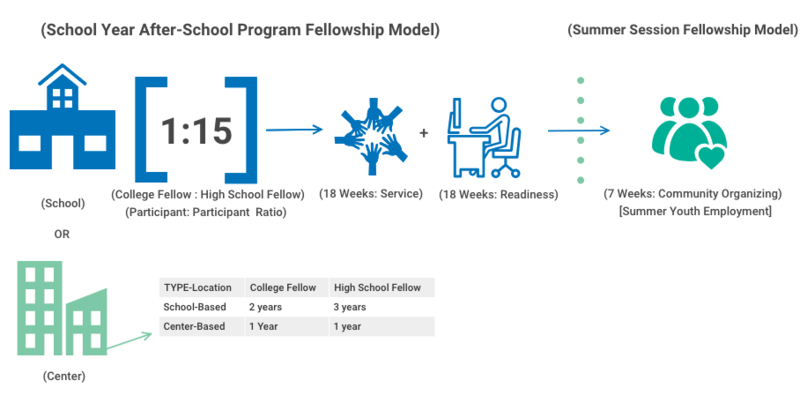 We have since evolved and consolidated our programming, offering service-based fellowships between high school and college matriculated students. The Gem Project works to improve high school to college student engagement, while supporting on-time graduation rates, through peer-mentoring, life-skill workshops and service-learning initiatives that take on a social justice approach. Since its inception, The Gem Project has impacted the lives of over 2000 youth and young adults. Our programs provide youth and young adults with financial awards/scholarships, employment and a supportive cohort community. Through our growing partnerships, we have also been able to provide student travel opportunities, stipends, free test preparation, and access to diverse employment. The Gem Project has been honored and/or recognized by The White House (Barack Obama Administration), Forbes Magazine, Forbes.com, News12 New Jersey, National Journal, The Atlantic Media, Black Enterprise.com, GOOD magazine, NJ.com, Rutgers Magazine and others. Traditional practices of service-learning takes one through a 5-step process of investigation, preparation, action, reflection, and demonstration. Through this 5-step process, learning typically happens in a classroom setting and through the actual service work itself (we veer away from the traditional approach). Little is done to address key underlying issues, which often play a huge part in any number of identified social issues within a community. By taking the time to also explore and dissect identity, race, privilege, policy, systemic barriers and power, we move toward a critical approach. Through the lens of social justice, our fellows are more equipped in addressing societal issues in a more inclusive and meaningful way. Taking place at local youth centers and school-based after-school programs, The Gem Project provides 36 weeks of after school programming during the school year and in the summer, 6-7 weeks of programming, through our fellowship programs between high school and college students. In partnership with select community-based centers, The Gem Project, employs and supports youth between ages 14-24 on a service-learning initiative, which explores a community issue through a social justice approach. Strengthen youth voice and responsibility, while working alongside and not for program staff, fellows, and other stakeholders. Our school year programming strives to have fellows meet and/or understand the needs of the community that they are planning to serve. Participants will develop a service-learning initiative within 18 consecutive weeks of the school year. The next 18 weeks afterward for a total of 36 weeks, will be dedicated to cultivating life skills that are focused on financial literacy, time-management, early college awareness, post-secondary higher education or trade preparatory programs, and career exploration readiness programs. 220 Hours | All fellows benefit from dedicated service-based work and/or hours in a single year, attached to a stipend or employment. 40 Hours | Dedicated hours of professional development for fellows during the summer session of programming and weekly, during spring sessions. Dedicated hours of professional development for fellows during the summer session of programming and weekly, during spring sessions. Professional development includes 1:1 coaching and supervision to assess personal and professional goals. During the spring session, fellows participate in mock interviews with recruiters from actual employers and develop digital portfolios. 100% of our senior high school fellows have been admitted and have plans to attend an accredited University or College. All of our fellows have shown demonstrated financial need, when reporting to our program partners. Our fellows involved in our summer youth employment programs in partnership with the City of Newark have been matched with employment, beyond their summer assignment with us as Gem Project Fellows, Community Organizers, and/or Facilitators with program partners or external employers. Mitchell, T. 2008. 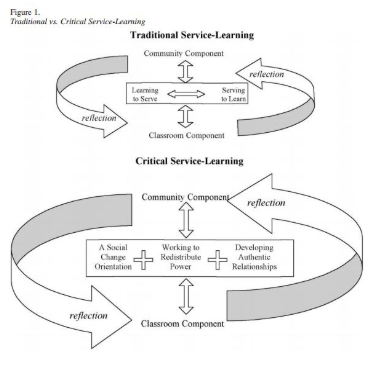 Tradition vs. critical service-learning Engaging the literature to differentiate two models. Michigan Journal of Community Learning, 14(2): 50–65.